As usual with Tom Olam's messages through the Veil, it's interesting to research some of this background independently, from the point of view of our own history. The following books should give some feel for the history and nature of the Ottoman Empire, and related matters. However, do remember that the two worlds are different in some very important ways. The Encyclopaedia of Islam (Brill, 1960). Barber, Noel. The Lords of the Golden Horn (Macmillan, 1973). Davison, Roderic C. Reform in the Ottoman Empire (Princeton University Press, 1963). Freely, John. Inside the Seraglio: Private Lives of the Sultans of Istanbul (Viking, 1999). Goodwin, Jason. Lords of the Horizons (Chatto & Windus, 1998). Wheatcroft, Andrew. The Ottomans (Viking, 1993). Zürcher, Erik J. Turkey: A Modern History (I.B. Tauris & Co., 1993). See also the Encyclopedia Britannica and other general encyclopedias. Several of these are modern editions of original period accounts. Bidwell, Robin. Travellers in Arabia (Hamlyn, 1976). Blunt, Lady Anne. A Pilgrimage to Nejd (Frank Cass & Co., 1968). First published in 1881. Burton, Captain Sir Richard F. Personal Narrative of a Pilgrimage to Al-Madinah and Meccah (Darf, 1986). First published in 1855. Doughty, Charles M. Travels in Arabia Deserta (Dover, 1979). First published in 1888. Freeth, Zahra, and Winstone, H.V.F. Travellers in Arabia (George Allen & Unwin, 1978). Burton, Sir Richard (translator). The Book of a Thousand Nights and a Night. Dawood, N.J. (translator). Tales from the Thousand and One Nights (Penguin, 1973). Irwin, Robert. The Arabian Nights: A Companion (Allen Lane, 1994). Lane, Edward William. Arabian Society in the Middle Ages (Curzon, 1987). First published in 1883, and actually based on the footnotes to Lane's earlier translation of the Arabian Nights. Lewis, Geoffrey (translator). The Book of Dede Korkut (Penguin, 1974). Titley, Norah M. Dragons in Persian, Mughal and Turkish Art (British Library, 1981). Blackwelder, Kraig. Lost Paths (White Wolf, 2001). A slightly darker image of Arabian magick in the modern world. Cambias, James L. Arabian Nights (Iron Crown Enterprises, 1994). Adapts ICE's Rolemaster system to the world of the Nights. Masters, Phil. GURPS Arabian Nights (Steve Jackson Games, 1993). The standard GURPS treatment of the setting. 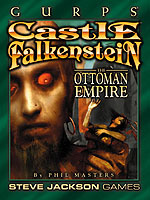 This and the preceding might seem anachronistic when dealing with the Victorian Ottoman lands – but then, the Ottoman Empire was stuck in a medieval rut, especially in the universe of Castle Falkenstein. Fraser, George MacDonald. Flashman at the Charge (Granada, 1973). Deals with the Crimean War from a European viewpoint, and with activities in Central Asia, beyond the Ottoman borders. On the other hand, it features swashbuckling secret missions among Muslim tribes and. most important, Count Ignatyev. Powers, Tim. Declare (William Morrow, 2001). Rather late in period, but it does have Djinn, espionage, and the endgame of the Anglo-Russian Great Game. Shwartz, Susan (editor). Arabesques (Avon, 1988) and Arabesques 2 (Avon, 1989). A good assortment of modern Arabian fantasies, with an excellent bibliography. The following can be used to gain a "feel" as to how an Ottoman scenario should be run – if not as sources of reliable information. Casablanca (Michael Curtiz, 1942). 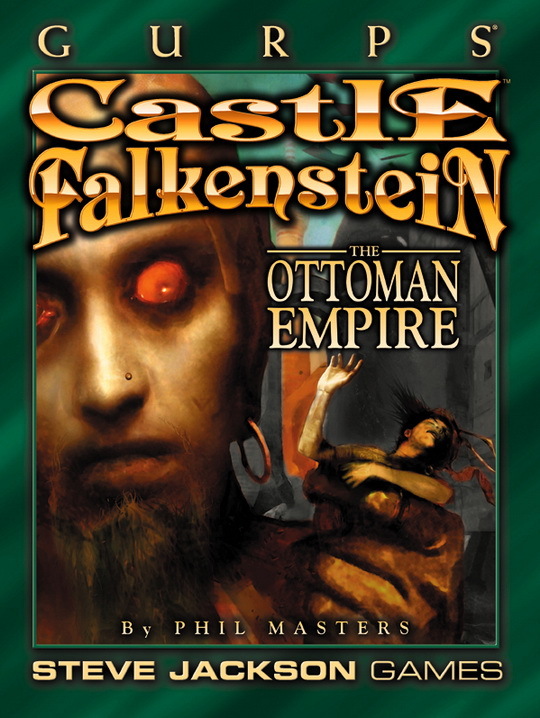 The setting is seventy years too late, and African rather than Arabian – but it has the sense of intrigue, and the high-minded hero, for a true Falkenstein Ottoman game, and the villains have the proper Prussian mind-set. Round up the usual suspects. Grass (Merian C. Cooper, 1925). A silent documentary with images of nomad life at the time of the end of the Ottoman Empire. Lawrence of Arabia (David Lean, 1962). Also the wrong period, but otherwise essential. A European hero teams up with Bedouin warriors to battle corrupt Ottomans, blowing up railways along the way. Pascali's Island (James Dearden, 1988). The setting is a little late for Castle Falkenstein, and the mood is a little downbeat. But the central triangle – European Anti-Hero, Ottoman Spy, Female Expatriate – are wonderful character models. The Thief of Baghdad (Raoul Walsh, 1924). The title has been used for four completely different movies, all set rather early for Falkenstein purposes, but all relevant as sources of specific ideas. The first, a classic silent starring Douglas Fairbanks Sr., is perhaps the most interesting.